The once great Stacy-Adams firm of shoemakers, established in 1875 in Brockton, Massachusetts, has long since devolved into a mass-marketer of low-end shoes. 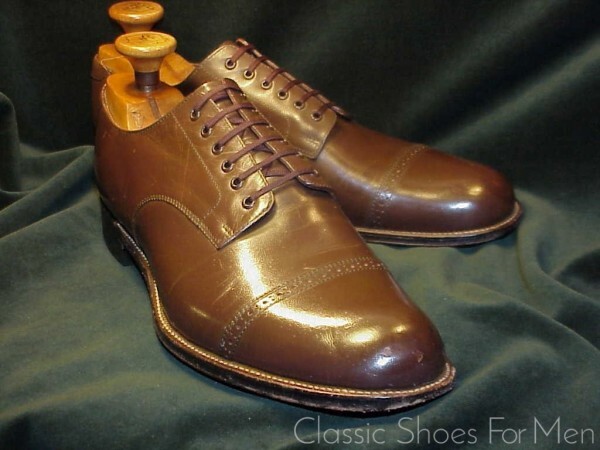 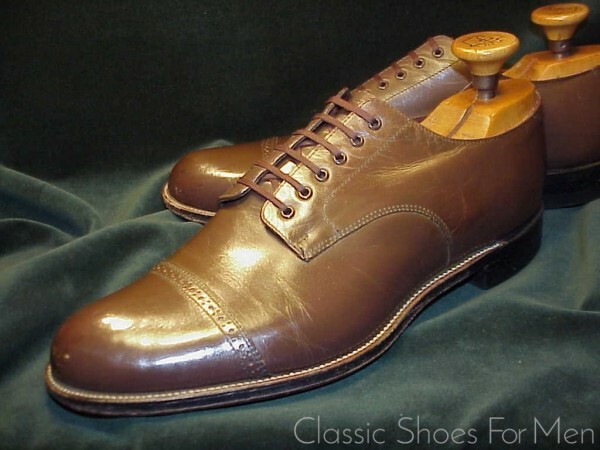 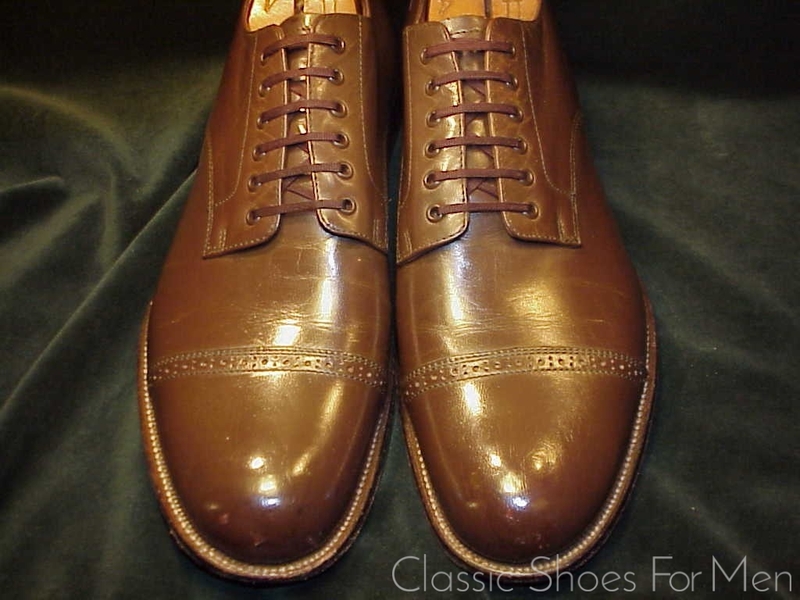 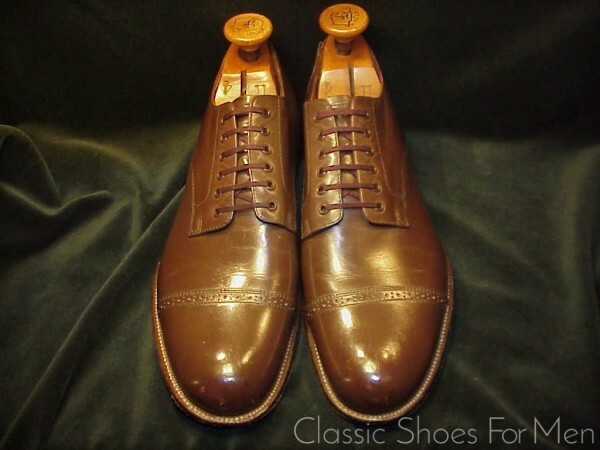 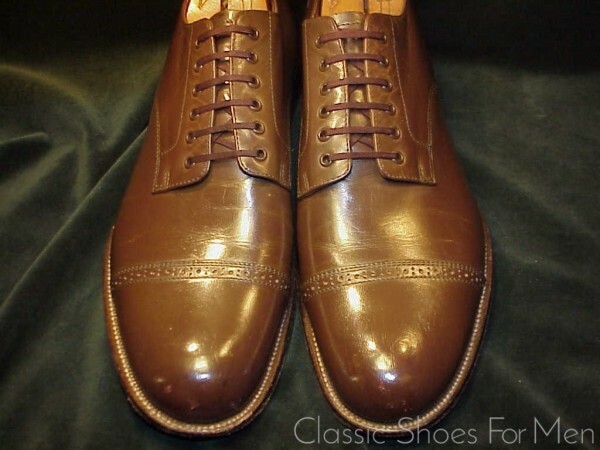 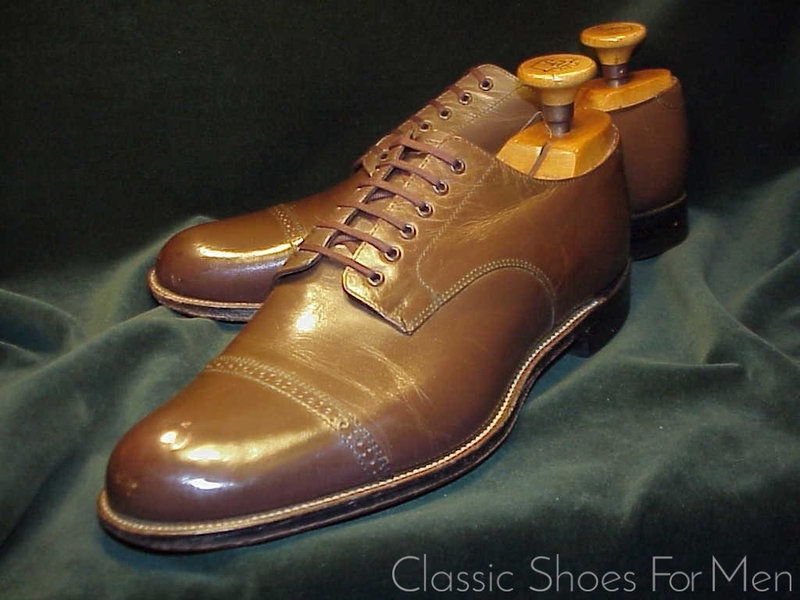 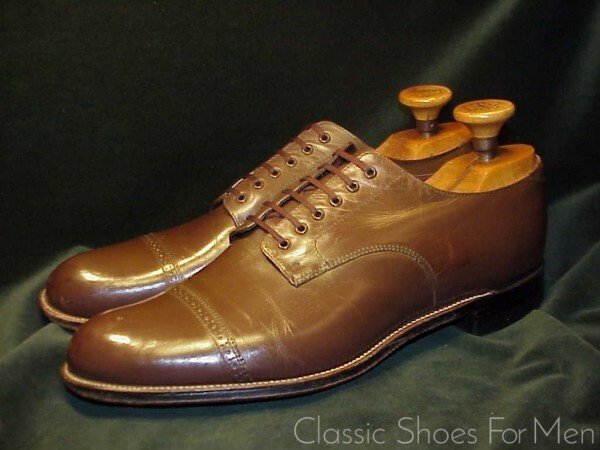 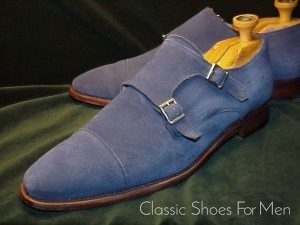 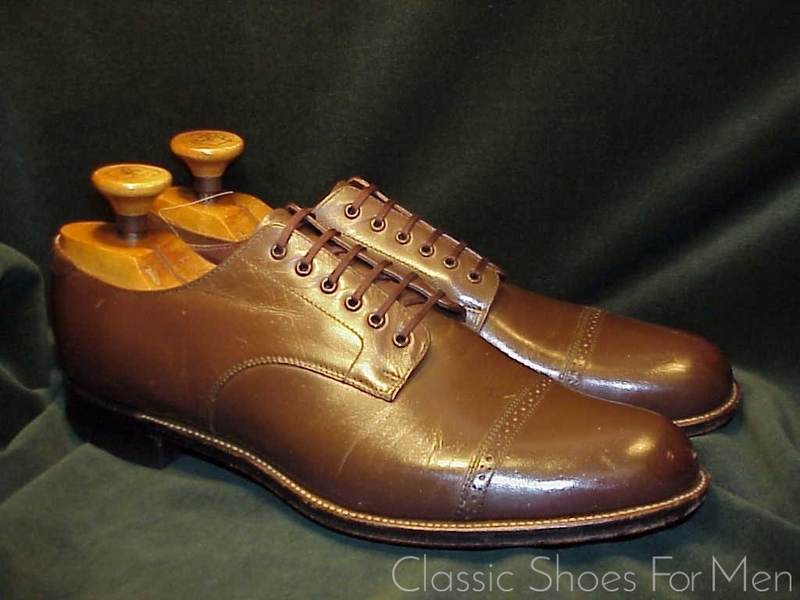 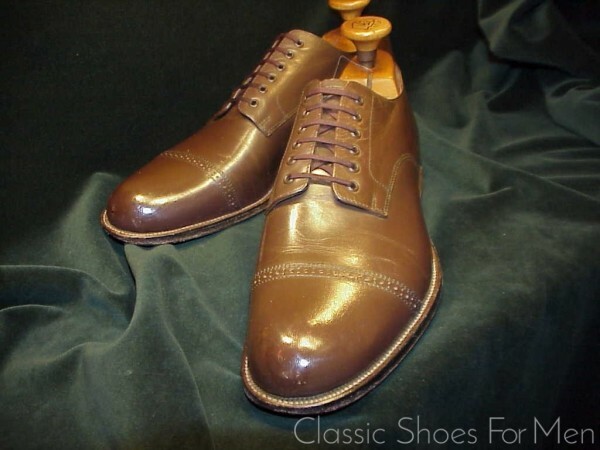 But until the 1960s they were a shoemaker to contend with, producing, as seen here, classic pre-war models on traditional early 20th century (and earlier) lasts. 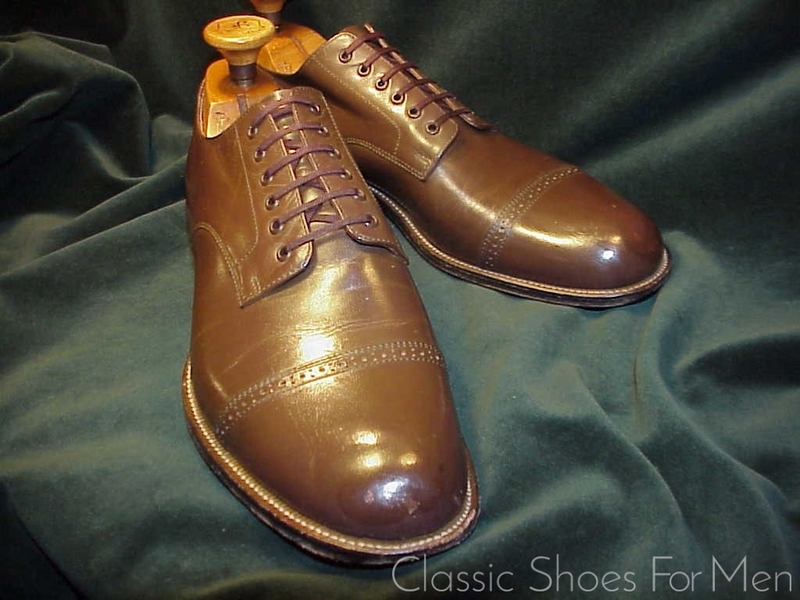 The long curve of the last and the 6-eyelet vamp are earmarks of their style, a style preferred by exceptionally well dressed American men of the early and mid-century. In spite of its excellent, even superior, properties, a tensile strength ten time stronger than cowhide, the use of Kangaroo skin is mostly restricted to custom shoe making today and to a few specialty bootmakers. 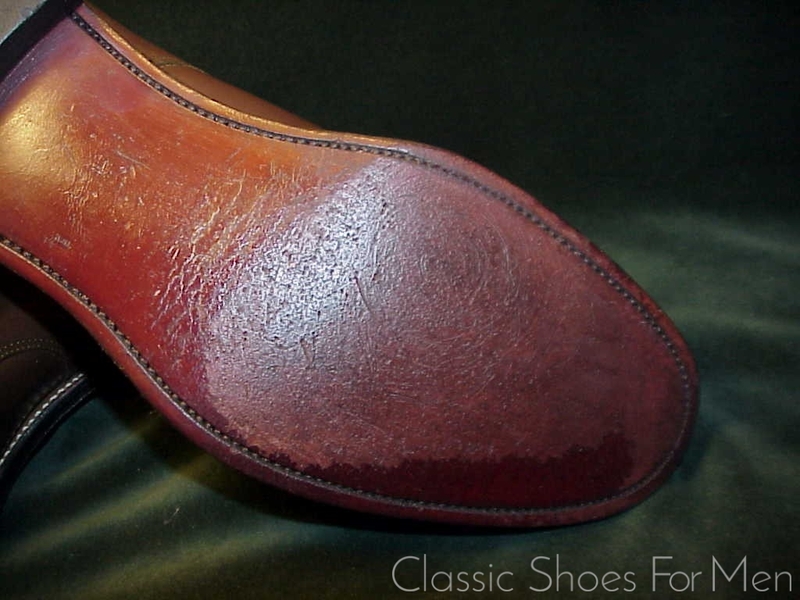 Its uniformly oriented fiber bundles allow it to be split thinner than cowhide and retain remarkable strength; in shoemaking this makes for a lighter and more durable shoe and an extraordinarily comfortable one. 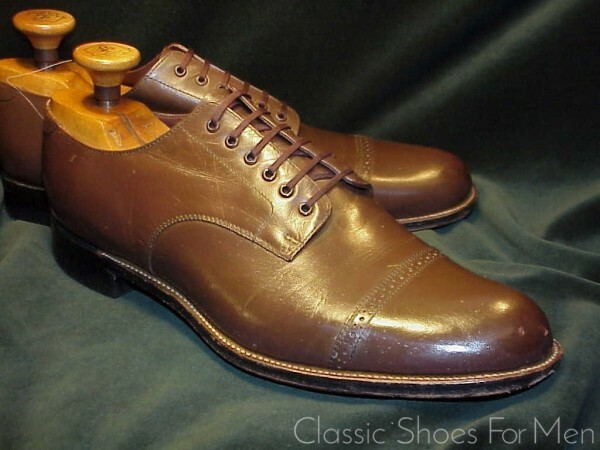 Kangaroo was widely in use in the first half of the 20th century and well regarded for it light weight, malleability and conformity to the foot. Indeed some say the Kangaroo leather shoe will spoil the wearer for any other leather. 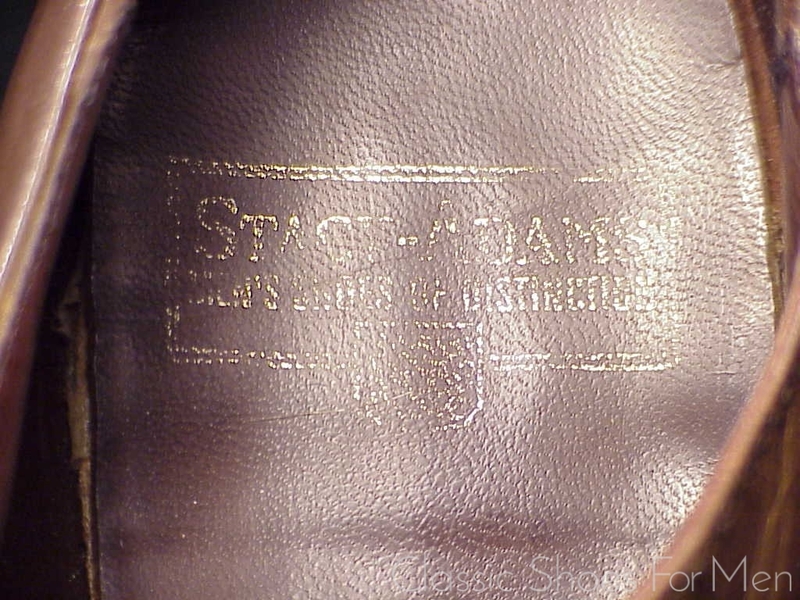 The Kangaroo leather used by Stacy-Adams was from Australian tanners, plentiful at the time but hardly available today. 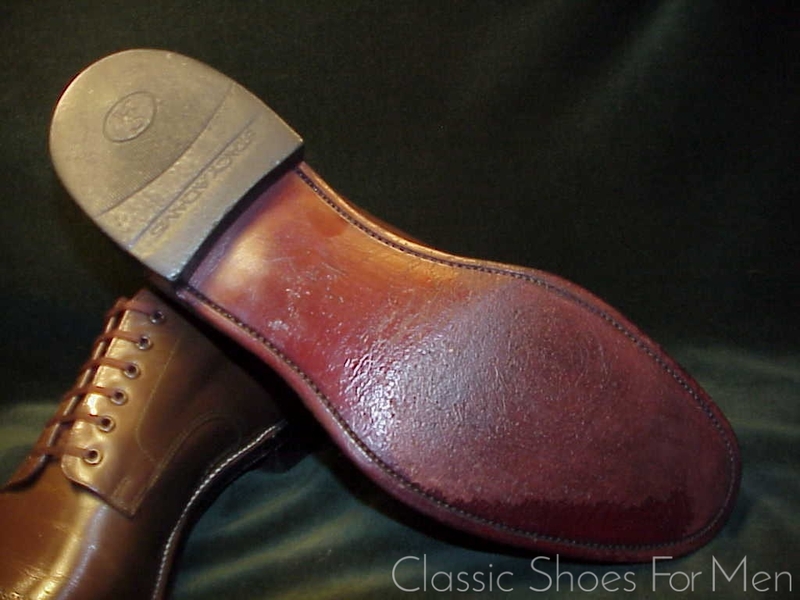 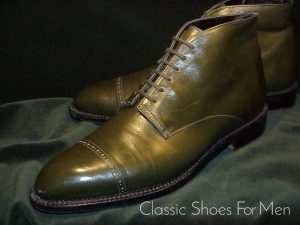 The age of these shoes and their fine condition is witness to the durability of this superb material. 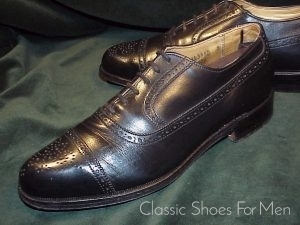 US 10.5D.....UK 9.5E.....Continental 44D, for the medium width foot. 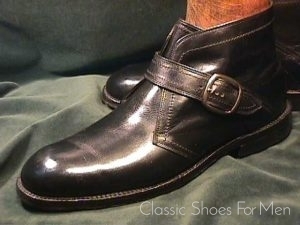 Very lightly worn. 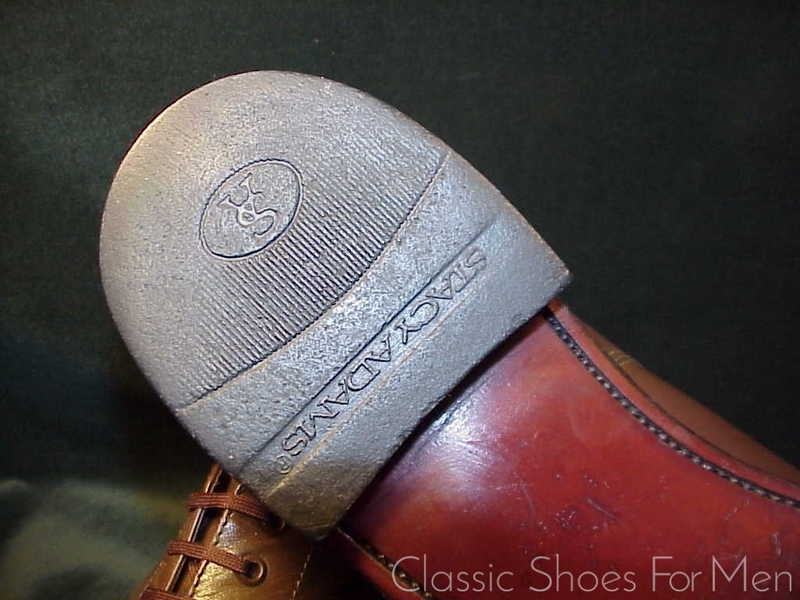 Trivial surface imperfections which should respond to polishing.